A friend of mine showed me a check that her son had received from Israel Bonds. The letter came from London, where the original bond was purchased five years ago, but the maturity check for $230 U.S. dollars was drawn on a bank in Switzerland registered to a company in Canada. Yes, this was an Israel Bonds check! She first tried to cash it at the Post Office Bank, where her son has an account, but was told that they would hold the check for 3 weeks and they could not tell her at what rate the dollars would be cashed and converted to shekels. So she went to her bank, whose manager explained that they charge $6.50 for depositing the check for a minimum of 7 days, and then another $6 for changing the dollars to shekels. The exchange rate would be lower than the Shaar HaYetzig on that day, at the bank’s discretion. The bank also offered to waive the $6.50 charge if they could hold the check for 3 months, only then allowing the client to decide when to change her money. One of the bank staff actually suggested to her that she would do better taking the check to a local money changer! So my friend turned to a local money-changer who offered to cash the Israel Bonds check into shekels for a 1% fee ($2.30) and at a rate 6 agorot lower than the Shaar HaYetzig. However, the local money changer was not comfortable cashing a check with such complex provenance – they were concerned that a Canadian bank check for U.S. dollars would be hard for them to clear. She brought the check to Montrose Change. We confirmed that it was in fact a U.S. dollar check drawn on the U.S. branch of a Canadian Bank, which we were happy to honour. She walked away with NIS 820 cash in hand in return for her $230 check, compared to the 785 NIS that the bank might have given her a week later, subject to exchange rate fluctuations! 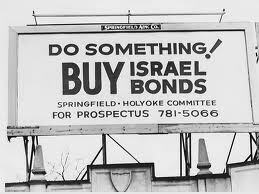 This entry was posted in Change Blog and tagged cashing an Israel Bond check, Israel Bond check, Israel Bonds in Israel. Bookmark the permalink.